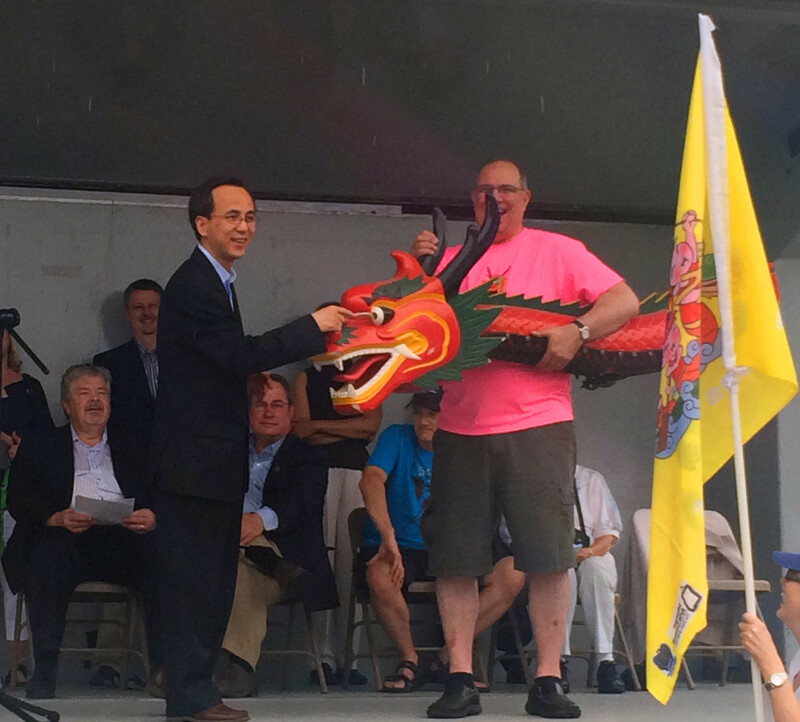 On June 13, Deputy Consul General Liu Jun attended 11th annual Kansas City International Dragon Boat Festival at the invitation of the Society for Friendship with China, Inc, during his visit to the City, Consul Cen Jiande and Consul Song Changhong were present. When delivering remarks at the opening ceremony, Liu talked about the historical and cultural significance of dragon boat racing and the history of friendly exchanges between Kansas City and China. He also appreciated Mr. Robert Chien, President of Society for Friendship with China, Inc, for consistently hosting the event, promoting the cultural exchanges and mutual understanding between China and the US for years. 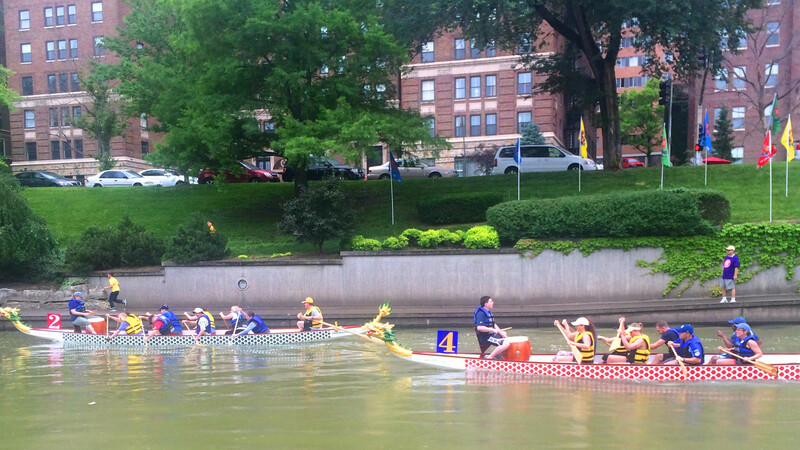 14 teams from local communities and colleges participated in the dragon boat racing, during which art groups performed Chinese folk shows such as dragon dances. The festival also featured Mulan Boxing performance by a group of senior citizen from Shenzhen City, China. In the evening, Liu attended the celebration reception and presented special souvenirs to a few volunteers of the Festivals. On June 12, Liu attended the welcome dinner hosted by the Edgar Snow Foundation. He also met with President of the Foundation Nancy Hill and Kansas City Councilman Scott Wagner and exchanged views on promoting bilateral exchanges.